Painting of the Italian artist Pompeo Batoni “Apollo and two muse”. The size of the picture is 90 x 121 cm, canvas, oil. 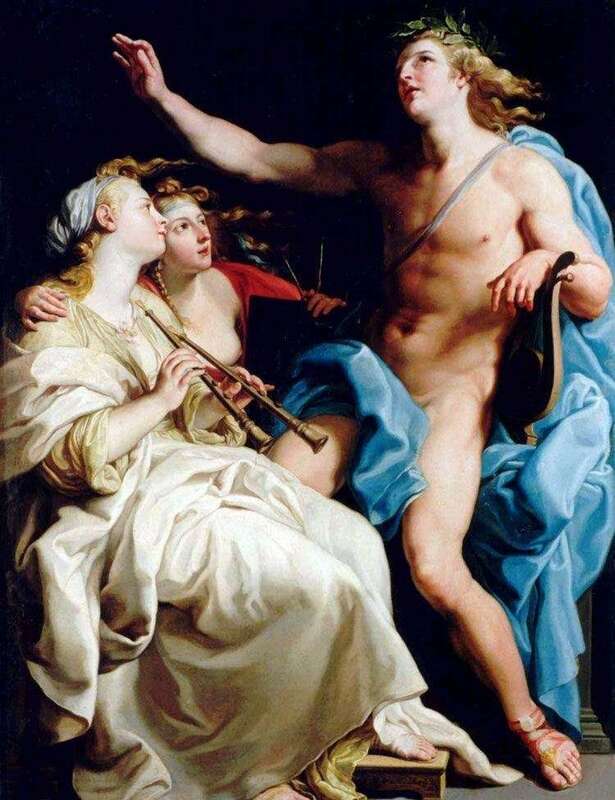 One of the best paintings of the mythological themes of the early period of the work of the painter Pompeo Batoni is also known as “Apollo giving music lessons”. Apollo, in Greek mythology and religion the son of Zeus, god-healer and prophet, patron of the arts. He was portrayed as a fine young man with a cithara or a bow and arrows. Among the ancient images of Apollo, the most famous are the ancient Greek statues: “Apollo, killing a lizard” and “Apollo Belvedere”. Wilanów Palace in the suburbs of Warsaw Wilanów was built in 1679 in the Baroque style for King Jan Sobieski. The decoration of the palace interiors lasted until the 1730s, during the reign of King Augustus the Strong. Then the Wilanów Palace belonged to various aristocratic families until 1805, when Count Stanislaw Potocki opened one of the first museums in Poland. Description and meaning of the painting Apollo and two muse by Pompeo Batoni.